According to the Rosoboronexport head, Mi-17 helicopters are ideally suited for use in Afghanistan. Sergei Sevastyanov arrived to Russian diplomatic representation in Islamabad, says Russian diplomat. Russian pilot Sergei Sevastyanov, whom the Taliban captured on Aug. 4 in Afghanistan, arrived at the Russian diplomatic representation in Islamabad, Charge d’affaires of Russia in Pakistan Alexander Hozin told TASS in a telephone conversation. "Our staff undertakes all necessary measures to provide him with all exit documents from Pakistan and also contact the Russian Helicopters Company, help him with a ticket to the Fatherland," Hozin said. "Sergei’s psychological and physical conditions are normal," he said. Along Russia’s borders: What are the non-NATO security risks? 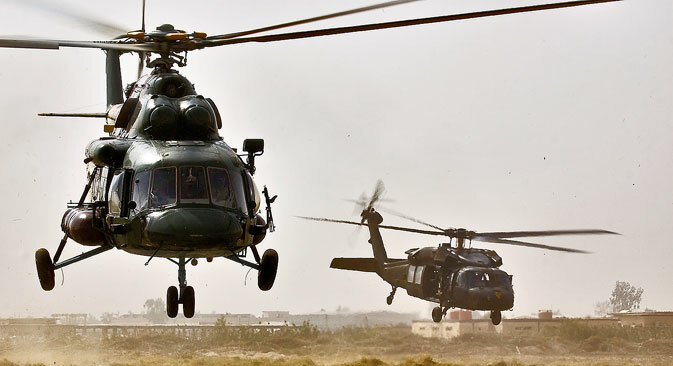 A Pakistani-owned Mil Mi-17 helicopter made an emergency landing in Afghanistan when it was heading for maintenance and repairs to an enterprise belonging to the Russian Helicopters Company on Aug. 4. "The Mi-17 transport helicopter crashed in the Azra district, in the restive province of Logar, then caught fire," said the provincial governor’s spokesperson Salim Saleh. He added that no one was hurt in the crash. "However, some residents in the area said it was the Taliban who set the chopper on fire after it crashed and took the aircraft’s occupants hostage," he said.